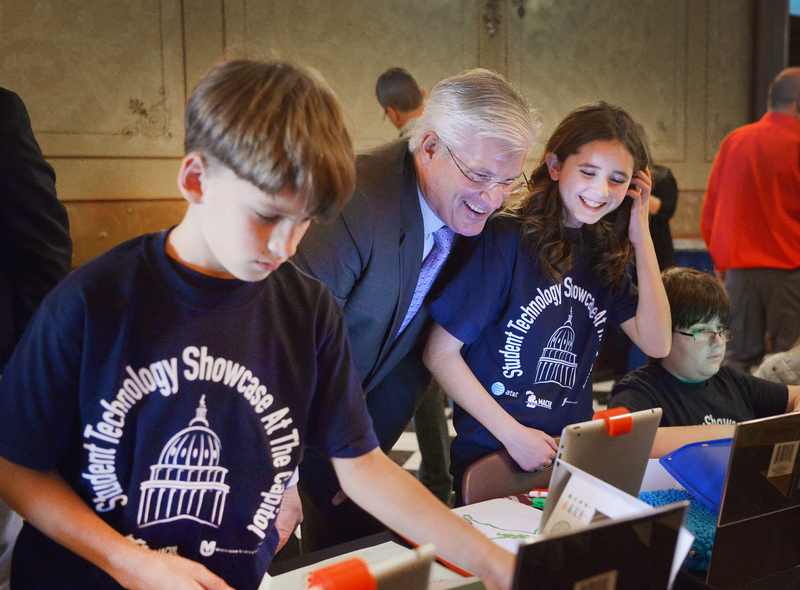 LANSING, Mich. — State Sen. Mike Shirkey, R-Clarklake, on Wednesday welcomed several elementary and middle schools from Jackson County for the 16th Annual Student Technology Showcase at the Capitol. The event is designed to show legislators and the public how technology is being used in the classroom to enhance learning in Michigan schools. Students from Bean Elementary in Spring Arbor, Parma Elementary in Parma, Warner Elementary in Spring Arbor, and Western Middle School in Parma presented their robotics and programming projects at the event. Note: Click the image for a print-quality version. This photo and others are also available by clicking Photowire, below.